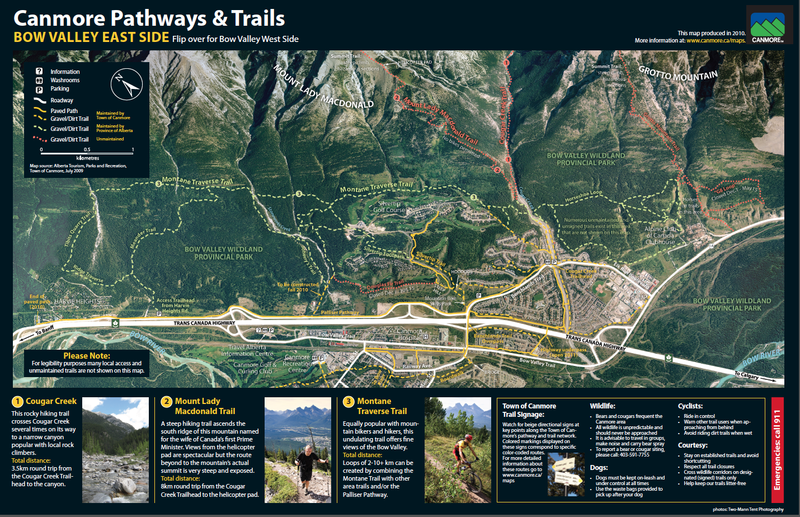 The Montane Traverse Trail, on the east side of the Bow Valley, is another spectacular run. 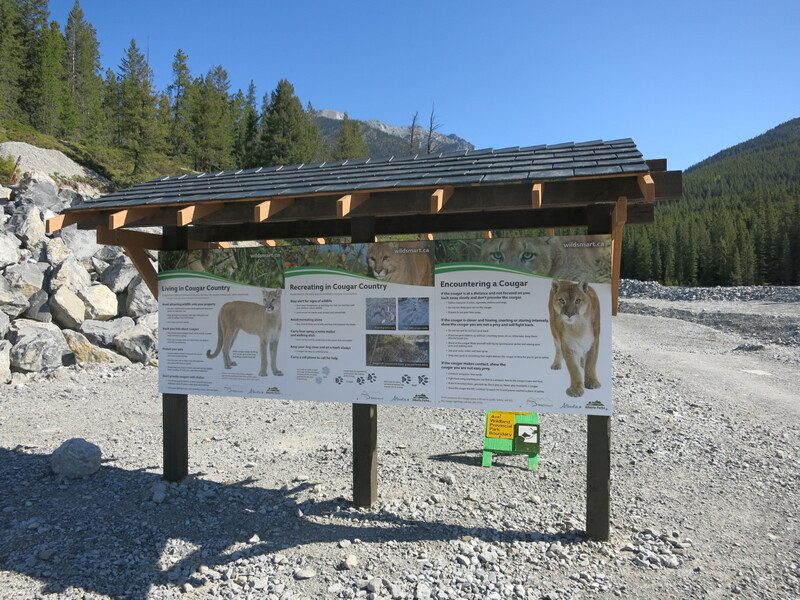 Starting at the Cougar Creek trailhead, it climbs steadily and steeply in parts in the first 2 kilometres. 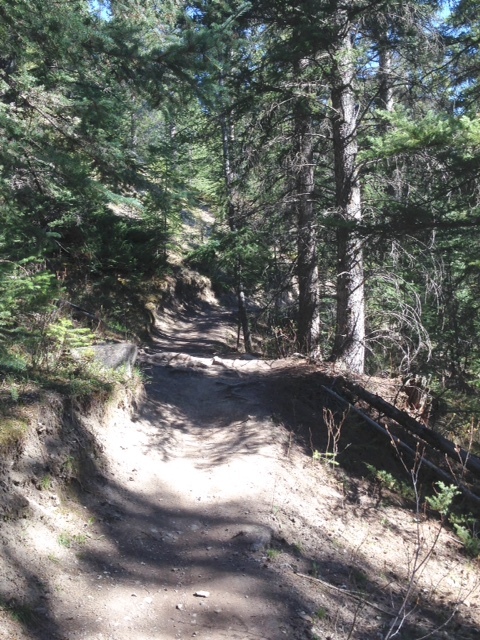 But after that, the trail stretches out into a rollercoaster of a ride along largely technical single track with tree roots, twists and turns, and the occasional rocky creek bed to navigate. There are some (mostly short) steep climbs in places. 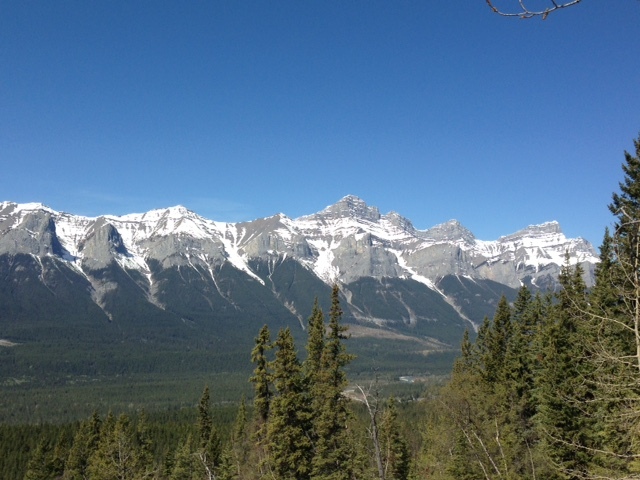 Otherwise it just rolls along, steadily heading upwards, and offering the most incredible views towards the Three Sisters, Mount Lawrence Grassi and Rundle Mountain. The route described below is a 10km out-and-back. 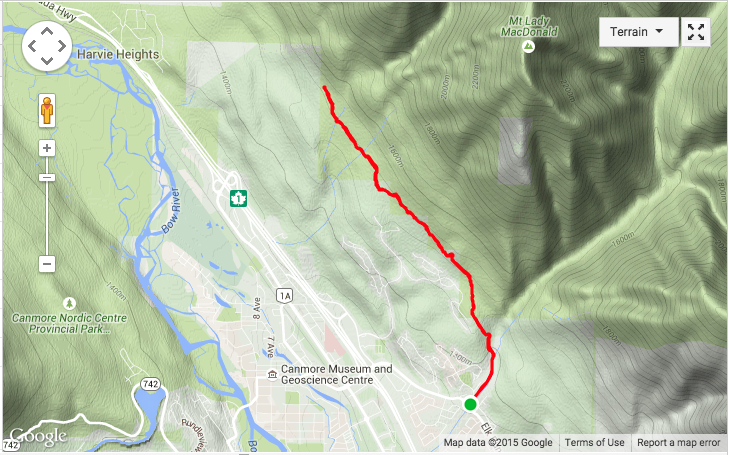 There is, however, the possibility to continue along the Montane Traverse and add in some loops (and climbing) towards the far end before rejoining the Montane back to Cougar Creek for a run of around 17km. 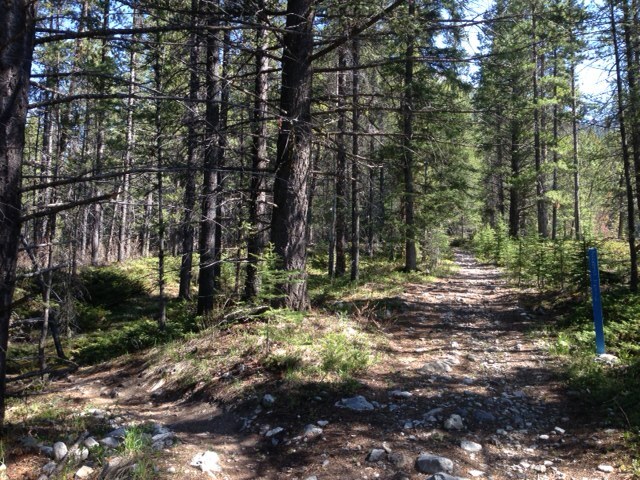 Like I said, I tend to run this as an out-and-back 10km. 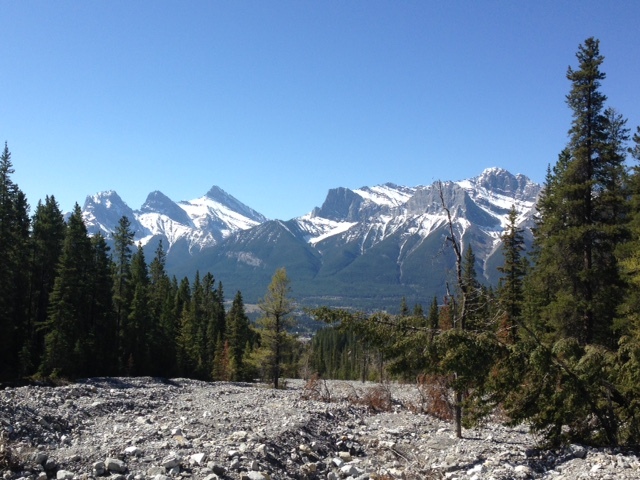 However, you can always continue to the end of the Traverse, descend along the Tibits Quarry Trail, hang a left onto the Ridge Traverse and then climb up the Meander Trail to the Montane Traverse and back to Cougar Creek (shown below and available here). 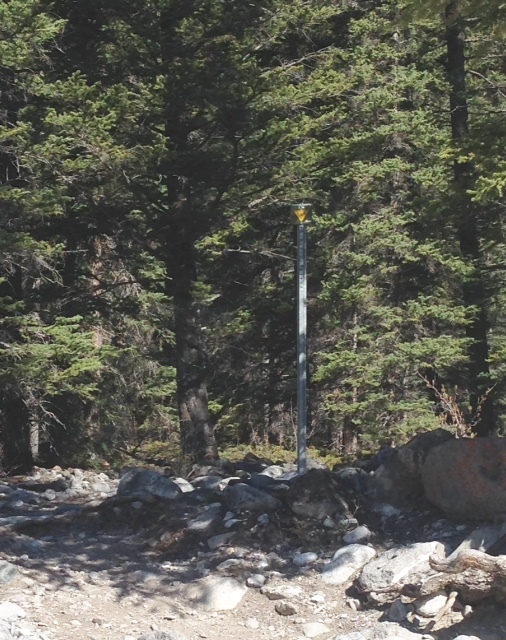 That would give you an additional 7km with a further 200m of elevation. 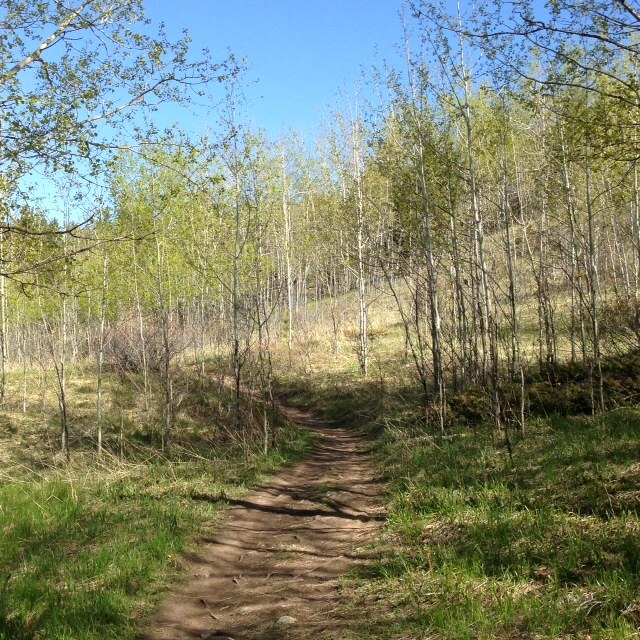 Whether you opt for the 10km out-and-back or something longer, it’s a terrific run. You won’t be disappointed. 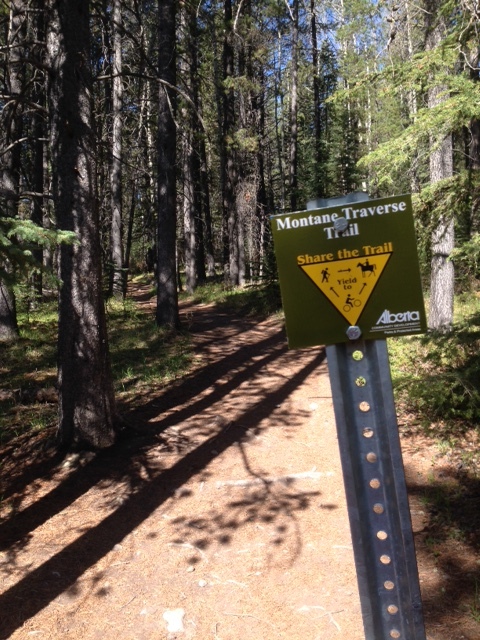 And it should be remembered that the return along the Montane Traverse is generally downhill while the trailhead is tantalizingly close to the Iron Goat Pub and the Summit Cafe, both of which are excellent places to recharge. 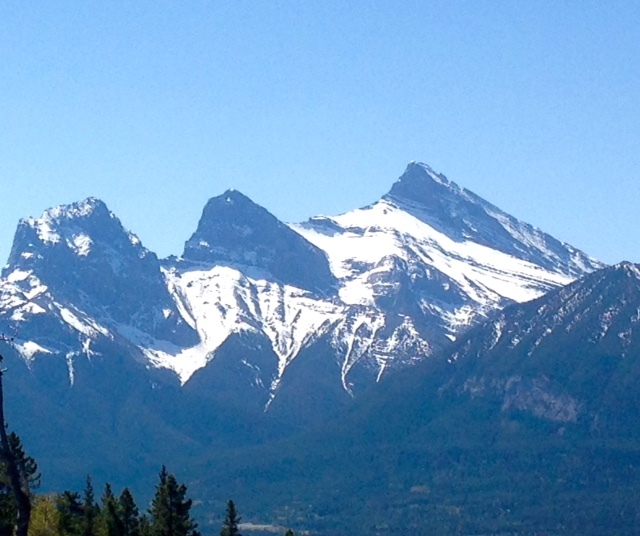 Next Article The Canmore Quad. Oh. La. La.